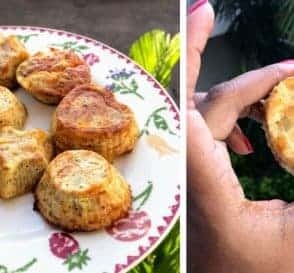 This great round-up of family keto recipes was shared with me by Sasha of Life’s Carousel and I can’t wait to work my way through all these family-friendly keto recipes! Do you have a family fave? The ketogenic diet, or keto for short, is taking the world storm. By eating a particular combination of foods, you stimulate your body to go into ketosis. When your body is in ketosis it changes the way it metabolizes food and basically makes your body burn more fat! How awesome is that? Since I had my 3rd child, I’ve needed to lose some weight. But rather than lose it, I’ve been slowly putting on MORE weight. 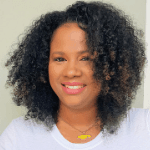 I’m a busy mom, teacher, and blogger – I don’t have time for hours in the gym or cooking extravagant meals (let alone the budget!). I need something that is easy and doesn’t take too much of my time! Keto is the answer! When you are a parent on a weight loss program you also have to be aware of what you will be feeding the rest of your family. So many times in the past I’ve been on a diet where I get a plate full of veggies but my family get delicious looking spaghetti and meatballs! I don’t have the willpower to resist the meatballs! 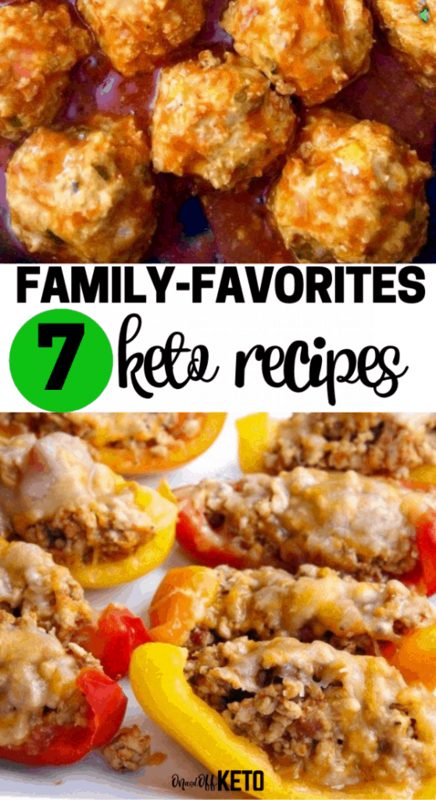 Below are 7 of our favorite Keto recipes that the whole family will love! These family keto recipes will keep you on track, while giving your family healthy, home cooked meals! Win-win! Chicken – yum. Bacon – yum. Caesar dressing – yum! 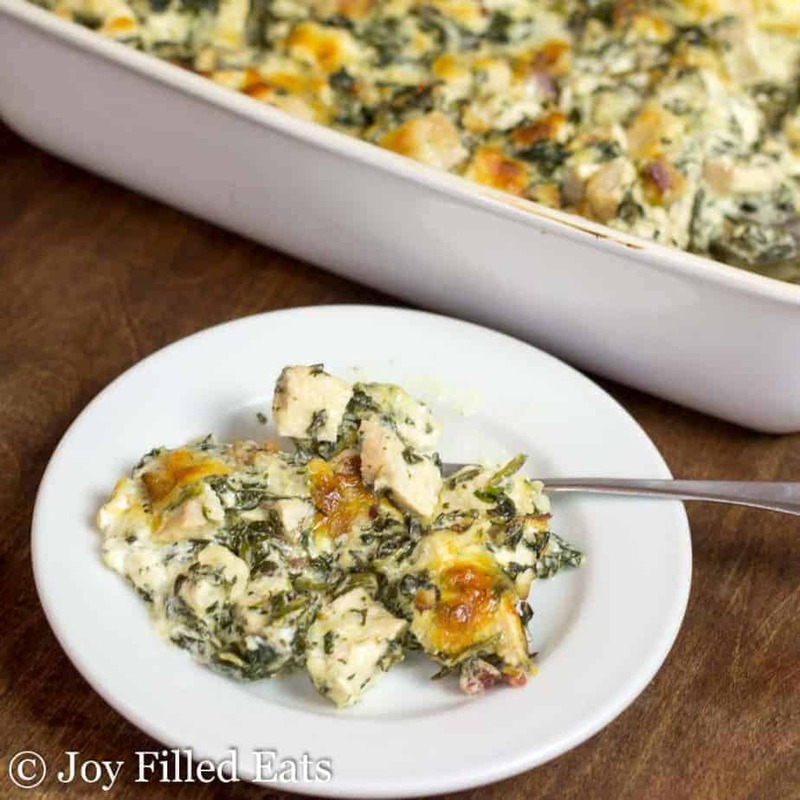 What isn’t there to love about this family keto recipe? My kids absolutely ADORE this recipe! I love it because it’s quick to prepare (under 10 minutes) and then I just throw it in the oven. Sometimes I make a side of garlic bread for the rest of the family, but most of the time, we just have it on it’s own. A real one-pot wonder! The flavors are so yummy, that even my pickiest eater doesn’t mind the spinach as he can’t really taste it. 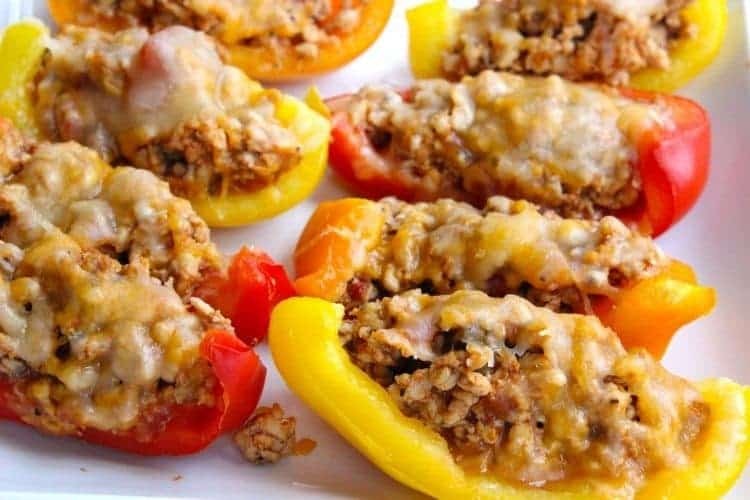 This is another favorite family keto recipes because of the rich flavors and the ease of preparation. You’re going to notice a common theme with all these recipes – they are easy to prepare! I can’t spend an hour in the kitchen chopping, mixing and… well, whatever else you do in a complicated recipe! I need fast and easy! This recipe meets those requirements! It’s also yummy too! For the rest of the family I serve this with tortilla wrappers, so they can roll it into fajitas if they want to. I’m sure once you try this it will be a hit with your family too! Maybe I have a bit of a thing for Mexican (or American-Mexican) food! This is another absolute favorite of mine. My family is completely obsessed with bell peppers. I can’t count the number of times I’ve ‘caught’ my daughter sneaking a bell pepper from the fridge to munch on! So this recipe required no modifications for the rest of my family, but you could easily get some taco shells for everyone else to have if they aren’t into the bell peppers. This is a super easy recipe and you probably already have most of the ingredients on hand (my fav type of recipe!). It’s also a great way to get the kiddos to eat more colourful veggies. This recipe for Ham, Egg, and Cheese roll-ups is a perfect lunch or quick dinner recipe. As far as family keto recipes go, it doesn’t get much easier than this! My kids love all finger foods, so these fit the bill perfectly. I can even throw one or 2 in their lunchboxes for school! They keep well in the refrigerator for a few days or freeze well too. Now can you see why I make big batches of these? Bonus Tip: You can even make these with bacon instead of ham! Yep… BACON!!!!! Or of course turkey or chicken deli meat but bacon! 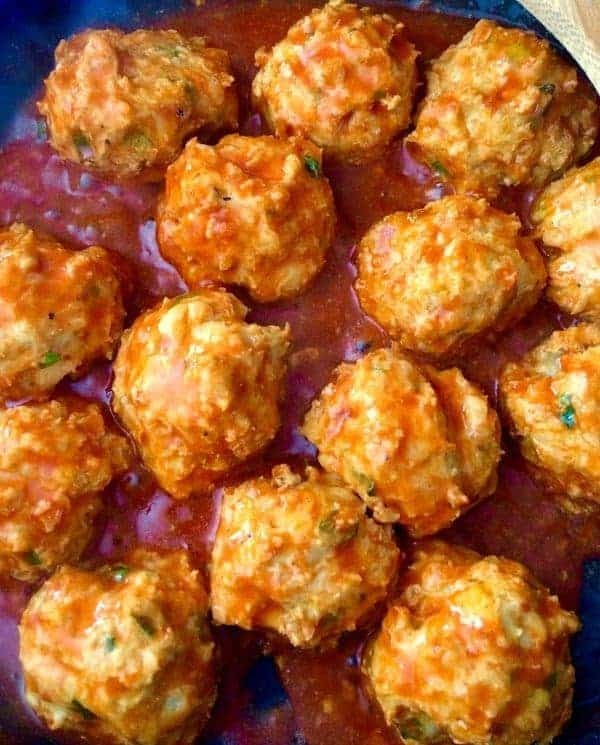 These meatballs are so yummy, I just eat them on their own! My family like them with buttered spaghetti, which is so easy to cook while I’m cooking the meatballs. I used turkey instead of chicken as that is easier to get at my local grocery store. I also LOVE a Ranch Buffalo sauce that I found at my local store. It’s creamier and not quite as spicy as regular Buffalo sauce (my kids prefer the milder taste). 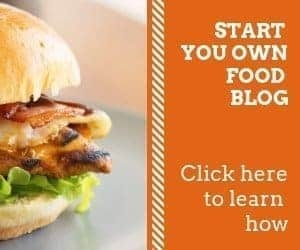 This really is a great family keto recipes that everyone will love! These are great for parties too! 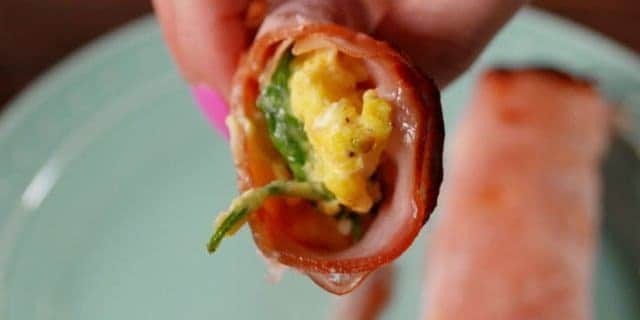 Now all your keto friends can have something yummy at the party. I grew up in England where Indian food is very popular… OK, that’s an understatement! Indian food is the national dish! When I moved to the USA, I really missed some of my favorite Indian restaurants, so I had to learn to cook it myself. Indian food (normally curries) are thought of as being very spicy, but they don’t need to be. 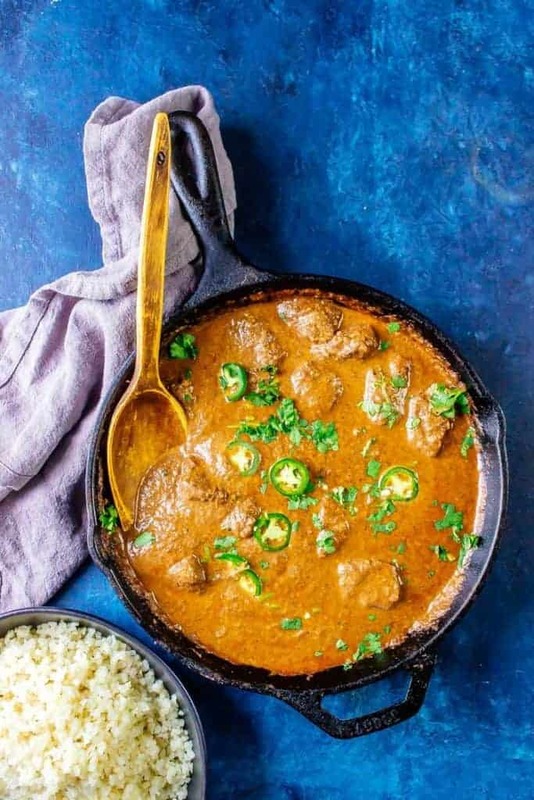 There are plenty of amazing curries that are full of wonderful, complex flavors without burning a hole in the back of your throat! Butter Chicken is a mild curry that appeals to most tastes. 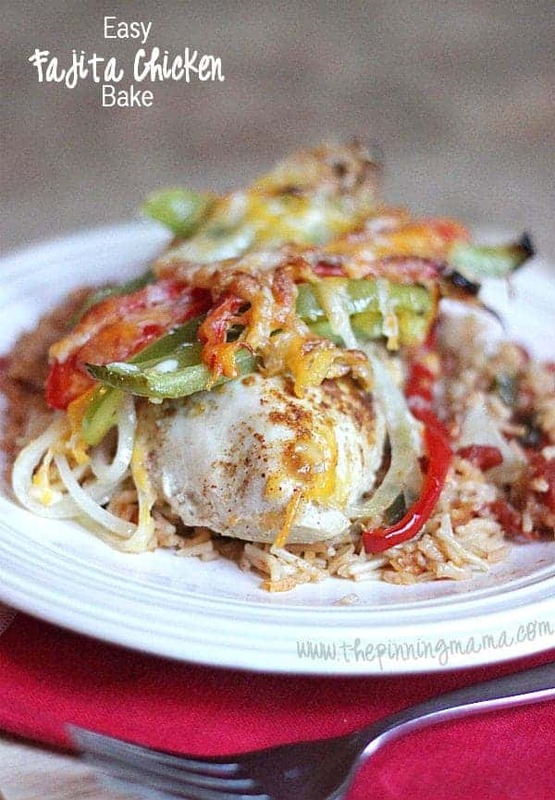 My kids love it (although I tone the chili powder down a bit for them) and I love it because it’s Keto friendly! I do miss having a nice nann bread with it, but the weight loss with keto is worth the sacrifice! Bonus Tip: You can add turmeric to this recipe as it’s an excellent anti-inflammatory! This is a super versatile recipe that is perfect for families. I like to make it on a lazy Sunday morning, but I always make sure I make a double batch to cut up and freeze for fast breakfasts during the week! It’s not just for breakfast though, it makes an awesome family keto lunch or dinner too! It’s so customizable, as you can add the veggies and meats that your family love (or that you have in the fridge!). 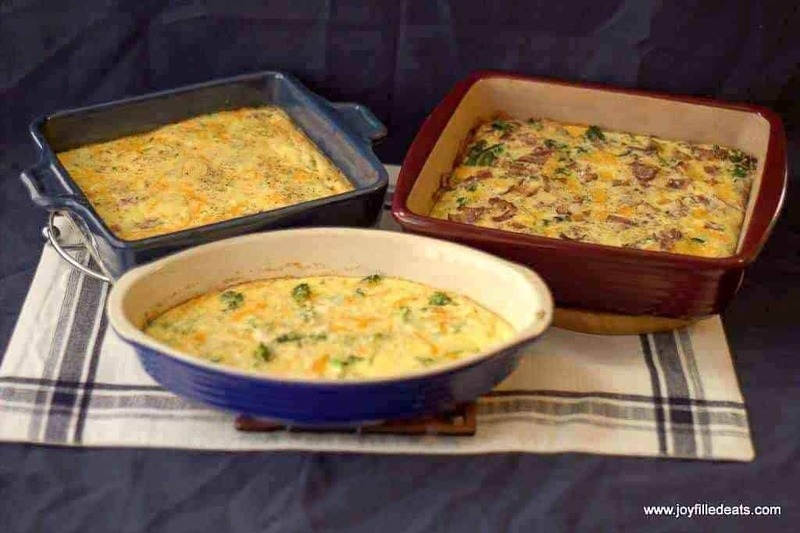 These egg bakes are also great for brunch when you are feeding a crowd! Make one egg mixture, and then do 2 or 3 different toppings to feed even the pickiest eaters! I’ve found it so easy to incorporate family keto recipes into our everyday menu, that now my keto diet seems so easy! Looking for a more complete guide to start or stick to the keto diet? My Ketogenic Diet 101 eBook is a complete, all-in-one resource for the ketogenic diet. This book includes all the need-to-know info about the keto diet, how it affects lifestyle diseases like autism, epilepsy, diabetes and high blood pressure plus over 45 recipes, checklists and grocery lists to get you started. Want the grocery list, quick start guide and 7-day meal plan for free? Get it below.